You may be considering siding for your home, whether it’s a replacement project or an addition or new build. That’s cool. Most often it is cedar siding that is being replaced because you are searching for the answer to constant upkeep, repainting and staining, or a new look you might prefer. HASSLE FREE! With new siding you are reducing maintenance and future expenses are vastly reduced. 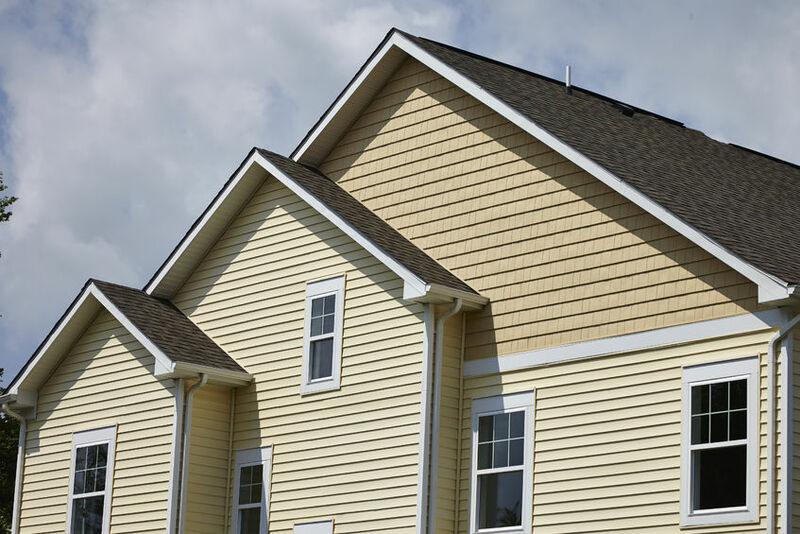 Vinyl siding offers many benefits, including lower cost versus aluminum and cedar. Bygone issues have been eliminated such as yellowing and buckling in the heat. These are no longer concerns and you can enjoy years of beauty. Not all sidings are equal. We help you with product choices and specs so you can make an informed selection. Three things you need for a great siding job: QUALITY products with the best guarantees; EXPERT workmanship from experienced installers; IMPECCABLY finished installation. Aluminum Siding is available as textured finished or as smooth finished. Colours are wide ranging along with colour-coordinated trims and accessories to give your home the curb appeal you are looking for. Slightly more expensive than vinyl with good lasting ability. Board and Batten is a fairly widely used siding that best mimics classic wood finishes of the early settlers. Cedar rough finished look; very sturdy, and hail resistant. Hardie Board is a fiber cement based product that actually provides more insulation when compared to vinyl siding (not pre-insulated) is more durable. Some people prefer the look over vinyl as being somewhat warmer, but an added benefit is that it can be repainted in time whereas vinyl cannot. However, Hardie Board does require some upkeep every 5 years or so. See Hardie Board products. With so many beautiful products to choose from, you need to make the right choice for siding installation. Let our experience and success guide you. 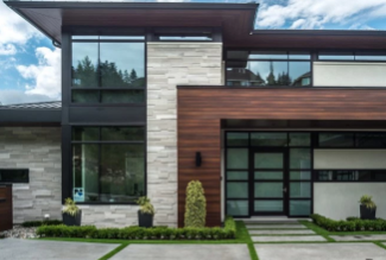 Longboard is a very beautiful, architecturally comfortable siding. While it is available for residential use, it is widely used in commercial applications. With over 20 woodgrain designs and even more solid colours, the possibilities are endless. ​Longboard comes in 24' lengths giving it nice solid lines. AL 13 is an aluminum cladding product that is measured and cut on premise where it is being installed. With over 30 colours to choose from, finding the right application is not a problem.